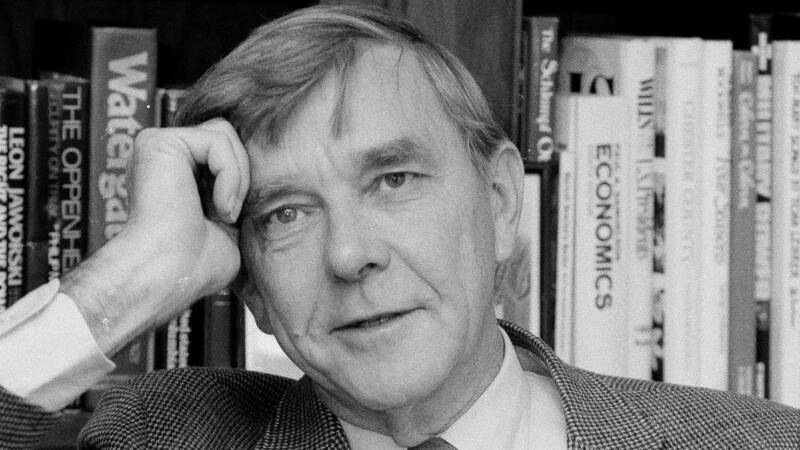 (CNN) - Columnist, author and "Masterpiece Theatre" host Russell Baker has died at age 93, according to The New York Times. The Times said Baker died on Monday at his home in Leesburg, Virginia. Baker's son, Allen, told the Times that the cause was complications from a fall. Baker was known for his satire and humor. His "Observer" column ran in the New York Times -- and hundreds of other newspapers -- for 36 years, the Times said. The column earned Baker a Pulitzer Prize for commentary in 1979. He won a second Pulitzer Prize, this time for biography, for "Growing Up," a 1982 memoir about his childhood during the Depression. It is one of 15 books Baker authored over the course of his life. Baker also was a member and served as chairman of the Columbia University Pulitzer Prize board. Later in his career, from 1993 to 2004, Baker hosted the PBS drama anthology series "Masterpiece Theatre."